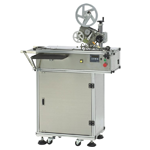 It is atabletop labeling machine for round labeling or s ide labeling. 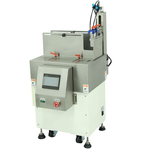 A durable but portable machine provides efficiency at minimum costs. 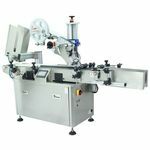 suitable for high speed wrap-around or side labeling. It is widely applied into cosmetic, pharmaceutical, food industry. 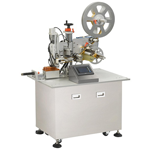 It is designed for High Production Top Labeling Ex: Carton, DDL, Notebook,Plastic bag or box. 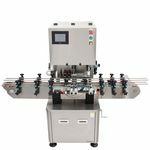 The feeding speed can be complied with conveyor speed and it's very flexible to adjust the magazine size to apply for any sizes of trays. It saves manpower and time. 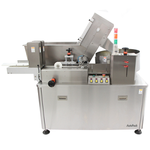 It is applicable to the medicinal, health products, food industry.It can be inserted cotton into the container automatically.